Lifted a screen grab from that Hillary Clinton county song video. 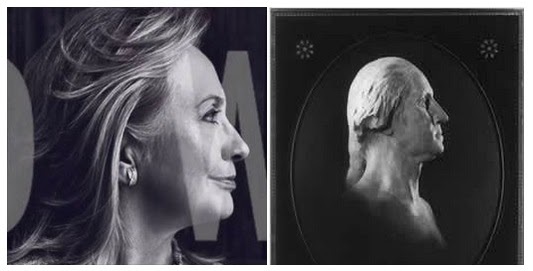 Is the shot from the video (left) suggesting Clinton is the next George Washington? Maybe it's symbolism for the first female president. Maybe it's just that her ego and pretentiousness know no bounds.